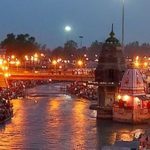 Chardham Yatra travel tips in Haridwar from best agent for chardham yatra in Haridwar. 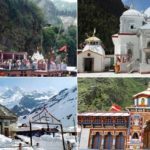 With knowledge of years of conducting chardham yatra in Uttarakhand, chardham tourism provides best information regarding chardham yatra in Uttarakhand. During your visit to Char Dham, It is advisable not to hurt the religious sentiments of the people or litter the waste in such remote and scenic locations. We have managed to list down few tips, things to do and things to avoid during your CharDham Tour of Uttarakhand. The following Chardham Yatra travel tips will help to make your Char Dham Yatra comfortable, hastle free and will keep you healthy and fit during the entire trip. The Chardham yatra or the four pilgrimage destinations are accessible only for six months (May to October) throughout the year. The region becomes inaccessible during the other half of the part of the year due to snowfall. You can check opening and closing dates of CharDham Temples. While visitng Hindu mythological sites, shrines and temples, one should remove shoes and cover head with a piece of cloth before entering the Holy Place. Carry heavy woolen clothes to protect from cold weather during the month of October-November and carry moderate woolen during Summer Season. Carry woolen Blanket, an umbrella, Raincoat, Torchlight, minimum luggage and canvas shoes with you. You can carry woolen sweater, monkey cap and muffler, which will enable you to with stand cold winds, at the upper level of Himalayas. Pack a medical kit with painkillers, antibiotics, cough lozenges, Antiseptic cream, Iodine, tube-squeeze cream and medicines for cold and fever. Carry your routine medicines, as you might find only limited and general medicine at such remote locations. Carry dark choclates, dry fruits, Glucose (Glucon D), toffees. They will provide your instant energy during the trekking and during long jams. When asking for directions, speak to shopkeepers, not pedestrians. Check with at least two persons or more. Do not take pictures if cameras are not allowed in any particular area. Do not play with the sentiments of any particular religion. At least a month before the Yatra, it is advisable to start preparatory exercises for the trip 4 months in advance. 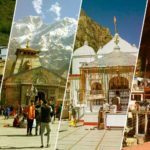 Though self-managed tours happen to be economical, it is advisable for your Chardham yatra to go for a guided tour arranged by an expert local travel agent. Carry extra batteries and films for your camera, as electricity is not regular in such remote places. Do not travel in the rainy season as there are a lot of landslides during that time. 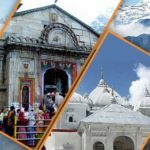 Book Chardham yatra accommodation in advance if you are travelling close to the chardham temple opening dates, there is a heavy rush of pilgrims. Check hotels on CharDham Route. Do carry creams, moisturizers, sunscreen creams. Alcohol or non vegetarian food is not permitted during Char Dham Yatra. Drink packaged water or boiled water only. In case of any serious medical emergency, call 108 (The Mobile emergency service from Government of Uttarakhand). Don’t make fake calls, as it is punishable offence. Train Connectivity: Rishikesh, Haridwar, Kotdwar and Dehradun are well connected to major cities of Uttarakhand, India by Railway Network. From here you can get bus or you can taxi/car booking as well. Air Connectivity: Jolly Grant Airport, Dehradun. Helicopter service to Kedarnath and Badrinath is available from Delhi, Dehradun, Phata, Augustmuni and Gauchar near Rudraprayag and Jollygrant Airport Dehradun. Always keep your vehicle on left side of the Road. 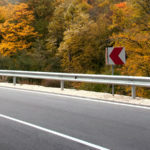 Use Horn at curves on hills, Never overtake the overtaking vehicle. One should not drive more than 8 hours a day in hilly region. Avoid driving after sunset, as it is not allowed in hilly area of Uttarakhand. Use shoes instead of slippers while driving. Check your Brakes and Hand Brakes before starting journey. Check the Headlights, Break light and Parking lights of your vehicle. Always give way to uphill vehicles. Keep your vehicle’s valid documents with you to avoid inconvenience. Carry first aid box with you. Before journey, make sure that fuel tank of your vehicle is full, in case of land slides you might have to take alternate long routes. Ensure to refuel, where ever easily you get chance, during season there might be long queues in Petrol Pumps at main stations. In case of traffic jam, park your vehicle at the end of the queue. If you initiate a parallel queue, the traffic from other side might force you to drive in reverse gear, till you reach again at end of the original queue. And you may find it very difficult to drive long in reverse gear on a hilly road. Do not compete with local vehicles/drivers. They know the terrain very well.